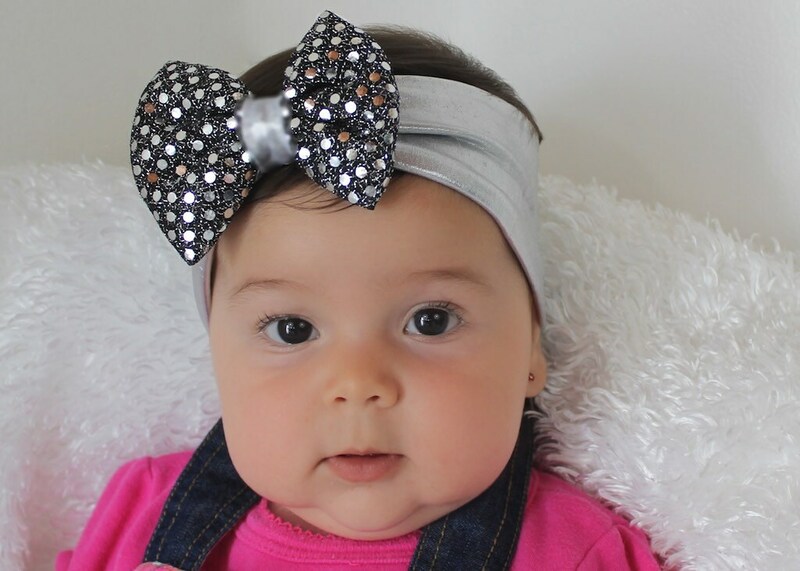 This Memorable Silver Bow Headband features one 2.5" silver bow. 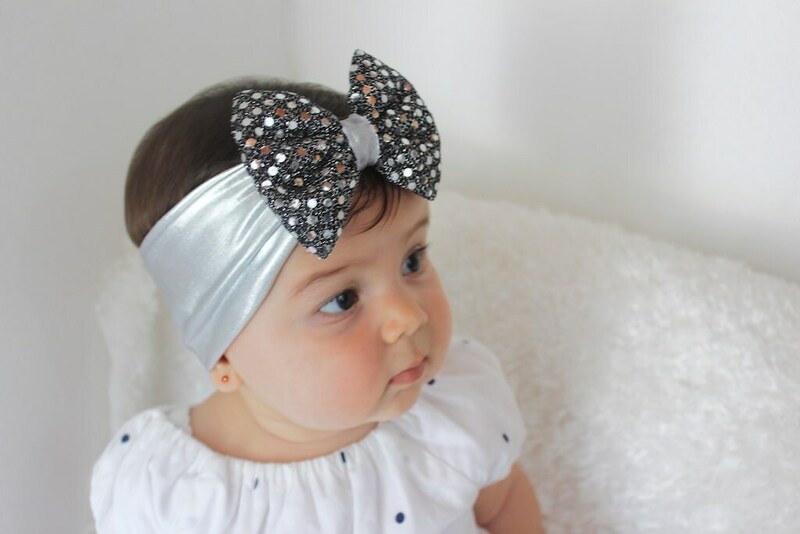 The bow is felt backed for comfort and sit on top of a soft silver elastic band for a perfect fit. 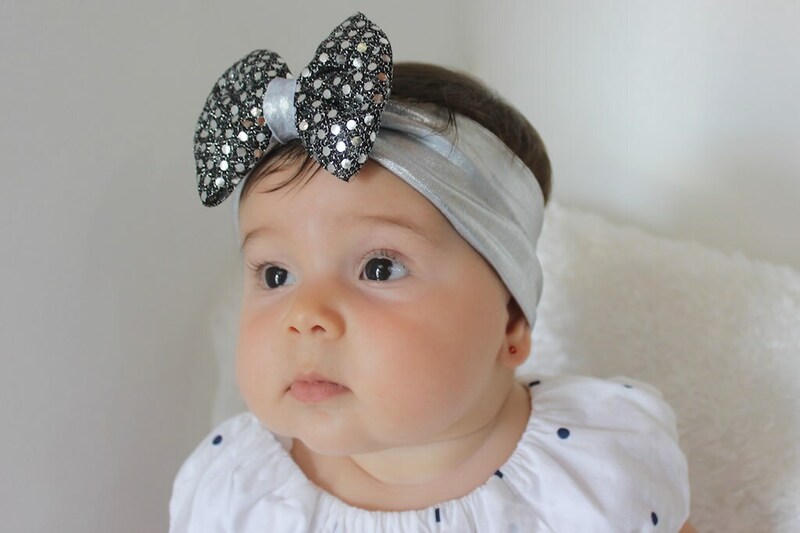 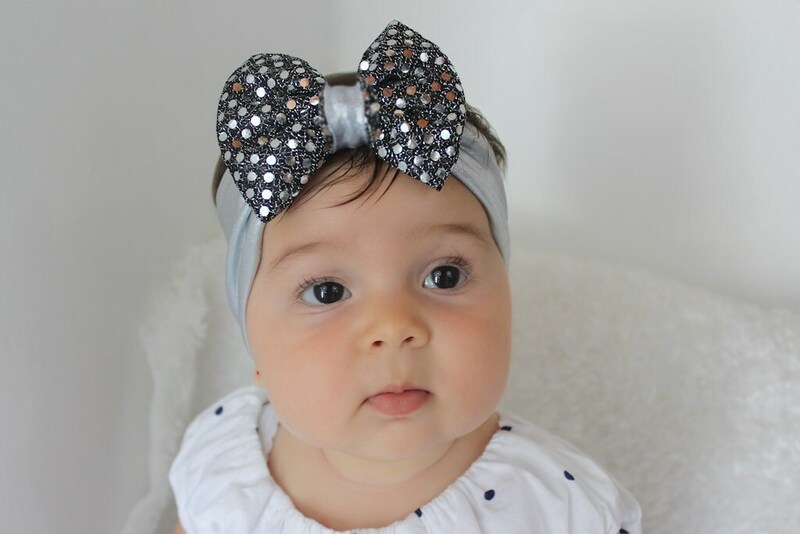 This beautiful Diva Sparkle Bow Turban Silver Headband is very elegant and comfortable. 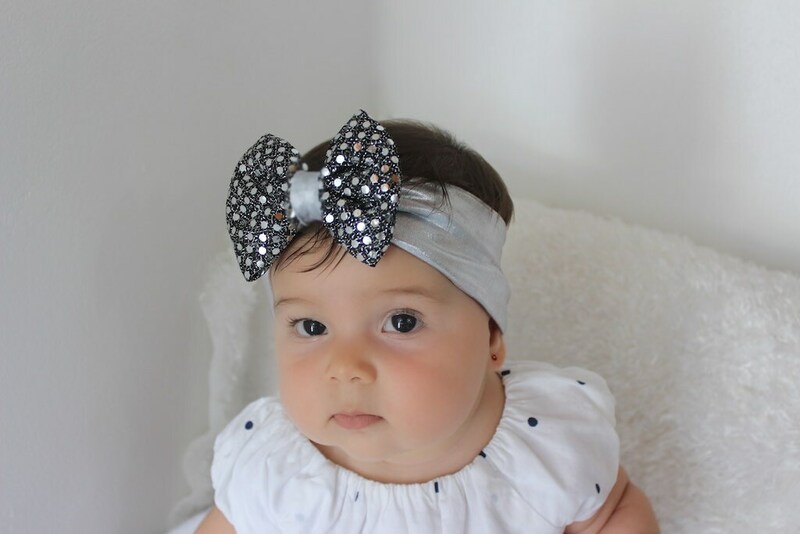 Bow is much smaller than pictured.